You might remember when Pokemon Go was launched; the crazy hype made you crave for it. But the only irksome thing that stopped you from downloading it from Google Play store was the sentence "This item is not available for your country." For once, you rethought that the world has all the right over everything that's online, even when you're seas across. It finally got you infuriated either over the developers or your hard luck. Similarly, many other facilities and services over the internet are most probably restricted to countries other than yours. It is usually a strategy by developers to gain hold over key areas before releasing their products worldwide. You know that sometimes, you're the deserving user for the product, but just in the wrong place. Also, shifting to that place would be too great a hassle. So don't blame your motherland for this, my friend! Lie. Fake your location and claim your right upon these services. For this, your mobile phone has to send the GPS location of the desired whereabouts for validation, and a GPS spoofing application conveniently does this. 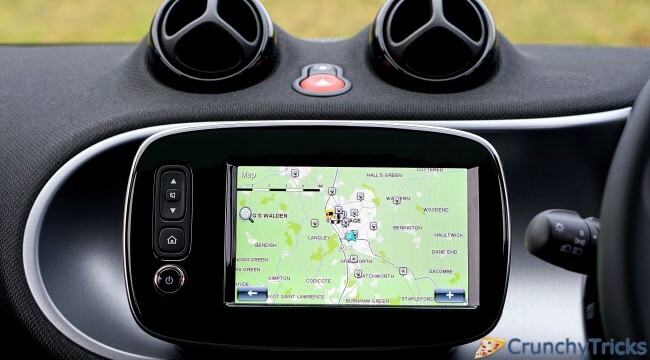 GPS spoof can primarily be used for anonymity. One can maintain his privacy by faking his GPS location and thus be safe from online security breaches. If you feel something fishy about your Internet service providers and your mobile platform developers using your private data to serve their interests, you may keep a check on it by GPS spoofing. Now that you have understood the benefits of GPS spoofing and are eager to use it to have those precious but restricted apps let us go through some great GPS spoofing apps for Android. Mock Locations offer a 24-hour free trial period in which you can use its premium features like the 'hide mock location' button. You can actually emulate a fake GPS route on the road with this device, through which you can pretend to be traveling. To make this alibi more convincing, you can set a variable speed and sometimes even traverse through closed routes fictionally. Well, that's useful especially when you want to play Pokemon Go without getting up off your sofa. The app also provides a side feature of hiding an application icon from the status bar. The app is also available in German and Italian translations. This is another efficient app to let your phone correspond to the places that you wish to portray to be currently living in. Your phone will send the information to other apps that require your location according to your preference. You may let your phone consider you're in New York, London, Delhi or anywhere in that case. The procedure is simple- Enable developer settings, check mark 'mock locations' in developer options, set your location to be 'device only', open the app, choose a location and press "Play". The app is light-weight but contains small in-app purchases. It requires your phone to have Google Maps installed. It works with Facebook, Twitter and Whatsapp but not with Viber. With this app, you are just two clicks away from teleporting yourself to another place, as viewed by your third-party apps. It supports command line interface and is extremely light-weight. Be careful that you must not uninstall the app before setting it to your original location. Otherwise, your place shall be locked to the last mock location after uninstall. The app is free with sufficient features, enough for our little hacks. Follow these simple steps- Turn on "Allow Mock Locations" on development settings, disable location services and run the Fake GPS app before running your apps. It would let you test the ability of your apps to track GPS information to avail better personalized experience from your platform services. You can obviously use the app to be somewhere else on the globe, by default. And you have to go with a single click for all this. The interface of Mock GPS Pro is simple, as it is map-based. Just choose a location on the map, and set it as your current location. Be anywhere without any travel. Let the third-party app developers know you have an excellent standard to be in the US or Switzerland or somewhere lavish. The app is very light, and it won't be any burden on your phone space- The download size is just 136 KBs. The interface shows your position as the Android mascot waving a hand at you as you set its location to your desired place. You are told the location's name along with the latitude and longitude. Just remember to disable "Use Wireless Networks" and "Use GPS settings" on your phone and allow "Mock Locations". The app is straightforward and small-sized and shouldn't trouble you much. With features such as random movement and spoof duration, you are bound to be impressed by Location Spoofer. Just install the app from the Play Store and forget all your worries regarding GPS spoofing. Fake GPS Location Pro is one great app for movement simulation and proxy location. Make your phone believe it's in another location by enabling 'Mock Location'. It is compatible with many apps that require human movement. You can even choose the kind of move (On foot, By Car, By Plane) and the direction. The coordinates change accordingly. It is quite helpful, especially when you want to brag about your trip to this exotic place to make your pals burn in jealousy. Mockation is another helpful tool to bluff your apps and mobile phone to be in a place that suits your convenience or interest to show those Pokemon Go developers you are a native and thus avails such games into your phone. The interface is intuitive, and the download size is very small. FGPS is a tool you can trust on when GPS spoof is concerned. It 'changes your current location with any place on the planet you want to go to'. So these are the ten apps chosen scrupulously just for you.